Great walkaround showing the new Centory up-close! It is powered by a 5.0-litre V8 engine supplemented by an electric motor to form a hybrid system producing 430hp in total. The hybrid powertrain system replaces the previous model’s V12 motor and is claimed to deliver 13.59kpl on the Japanese test cycle. The new sedan gets more modern safety tech, including Toyota’s Safety Sense pack, which consists of a pre-collision system, adaptive cruise control, lane departure warning, automatic lights and road sign recognition. Compared to the outgoing model, the new Century's wheelbase has increased by 65mm to 3,090mm, in order to provide more room at the rear. To aid entry and exit, the car also sits lower to the floor by 15mm. At 5,335mm long, it’s 110mm longer than the extended-wheelbase Mercedes-Benz S-class, and is 1,930mm wide and 1,505mm tall. The rear left-side passenger in the new Century has an electric extending leg rest, massage seat and an 11.3-inch entertainment system with 20 speakers and a 7-inch touchpad control module. 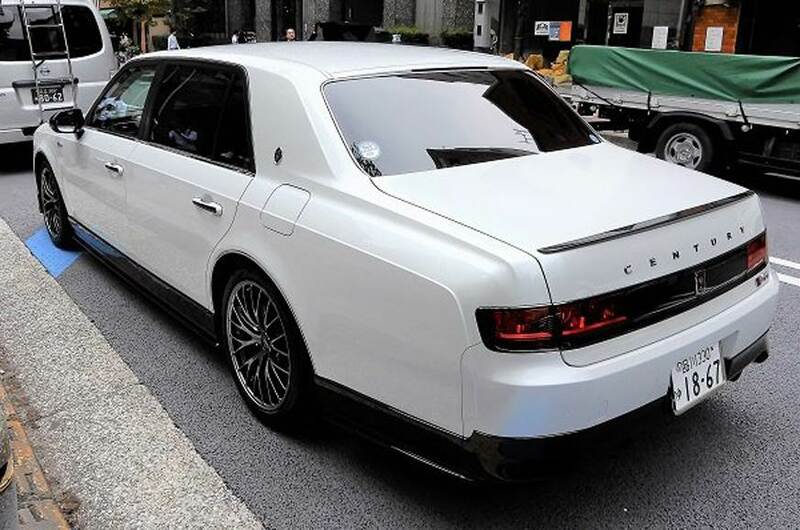 Toyota had the Century GRMN on display at the Tokyo Auto Salon! This one's finished in black and features quite a few changes over the standard Century, including larger multi-spoke alloy wheels wearing low-profile rubber, a subtle boot spoiler, a blacked-out body kit with red accents, a front splitter and brake calipers finished in white. 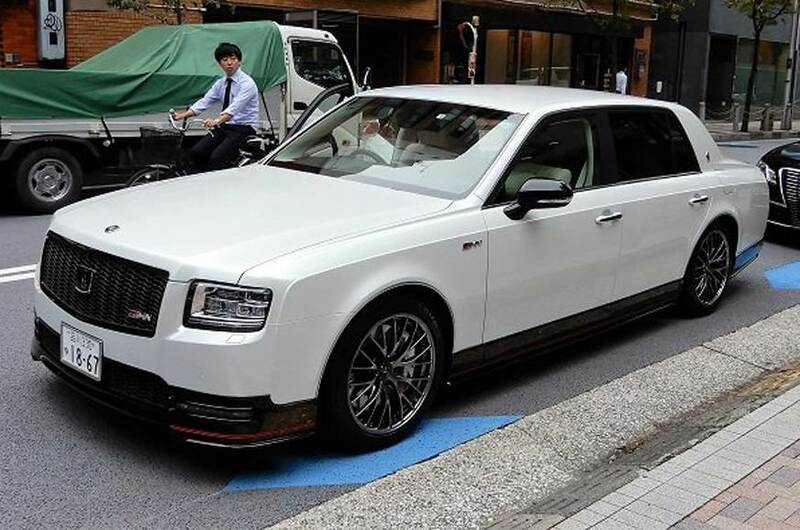 Of course, the Century GRMN has been spotted earlier as well, but that one was finished in white. Which one do you prefer?